The Karanda Hospital Chapel was built to serve as a place of worship for the hospital patients, the staff and the local community. 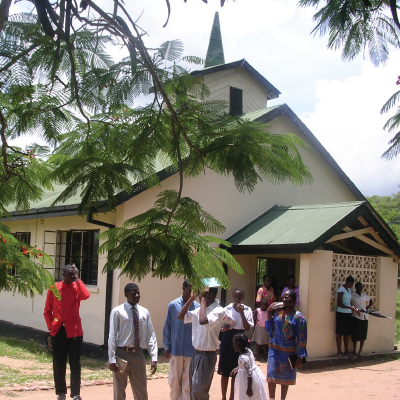 In association withThe Evangelical Church of Zimbabwe, Karanda offers multiple opportunities for worship, discipleship and ministry. Each week daily devotions are held for all the staff and patients. Weekly bible studies are given to staff members and our nursing students. The Awana program is very well attended. Kidz Club is held each week for our AIDS orphans. IN addition there are women’s and men’s meetings and weekly Sunday services. Each weekday our chaplains minister on the wards, offering bedside witnessing and compassionate care and holding ward services. Several times a year the Evangelical Church and the hospital staff work together to hold evangelistic outreach meetings to our surrounding communities.